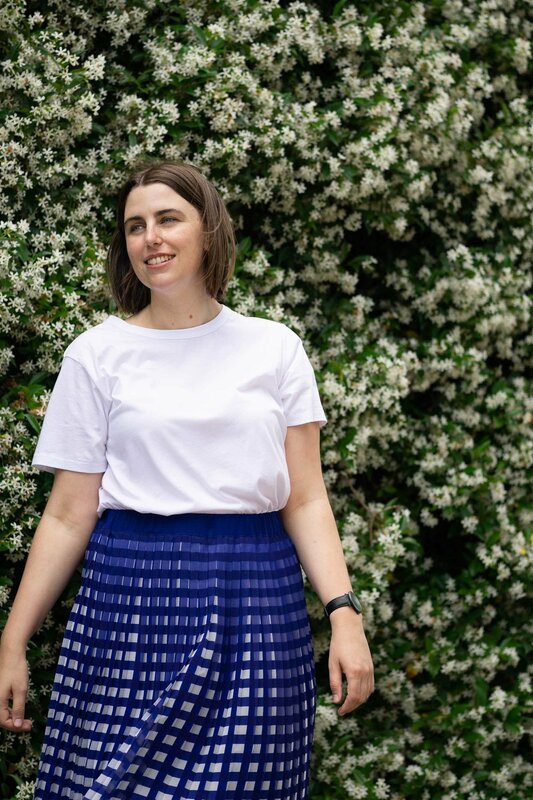 Welcome fellow flower lover to this floral filled travel series. If you haven't already had a chance make sure to peruse part one of this Paris spring flower guide here. 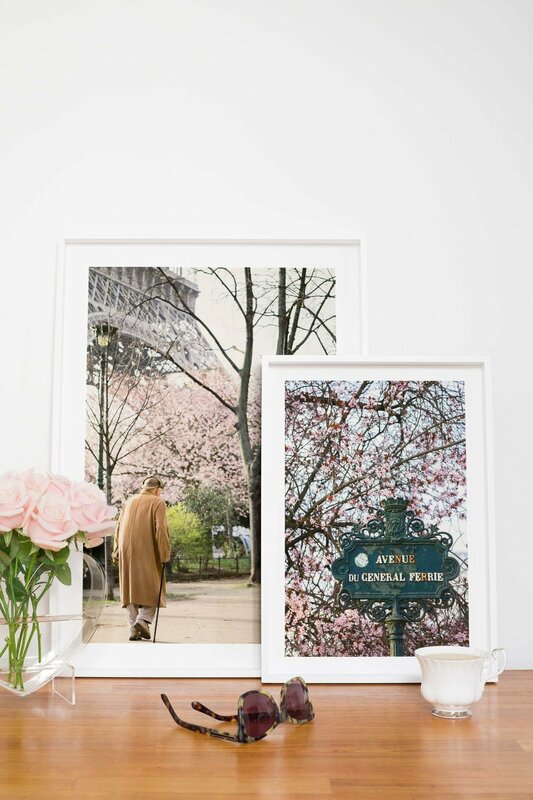 Here is part two of the best places to visit in Paris for beautiful spring flowers. 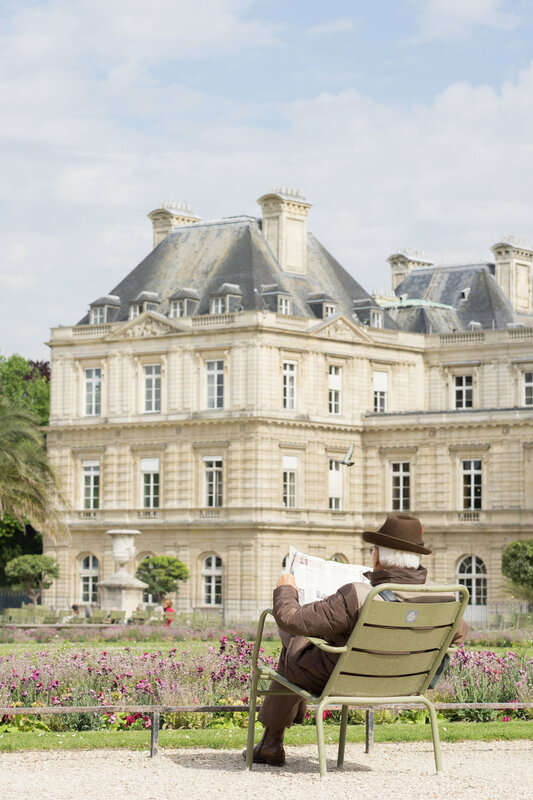 Pull up a chair and admire the beautiful Luxembourg Palace (now the home of the French Senate) whilst surrounded by beautiful flower beds. Whilst you're there make sure to stroll around the gardens and admire the pond (that is often filled with adorable sailboats), which you can experience here. Throughout spring there are a variety of blossoms on offer. In April admire tulips in an assortment of colours around the palace. In early May the ornate pots surrounding the upper level of the garden are replanted with gorgeous pink blossoms. Throughout the season there is always something in bloom in this wonderful garden, however the showstoppers are the large cherry blossom and magnolia trees. If you are after some exercise whilst in Paris this is the perfect place to take a walk or run whilst admiring the amazing spring flowers. Early to mid - March for the Magnolia trees. March to April for the large cherry blossom trees (Mount Fuji and Kwanzan). 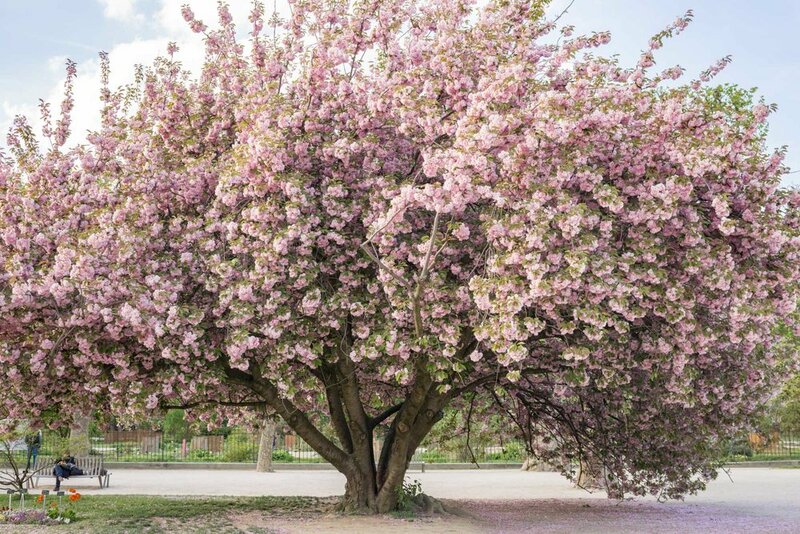 The incredible Kwanzan cherry blossom tree (same variety as the gorgeous trees at Square Jean - XXIII and Parc de Sceaux) is in bloom from early to mid - April. Blink and you may very well miss this delightful square on the western end of the Île de la Cité. Located just off the busy Quais above the River Seine this square is surrounded by cobblestone streets and stunning architecture. If you're after a quiet rest spot and like to indulge in some people watching (including the odd game of Boule) this place is for you. The western end of the Île de la Cité near Pont Neuf. Mid to late April for peak bloom of the chestnut trees, which fill the square with gorgeous pops of colour. Missed the first part of this Paris spring flower guide? Discover part one here. 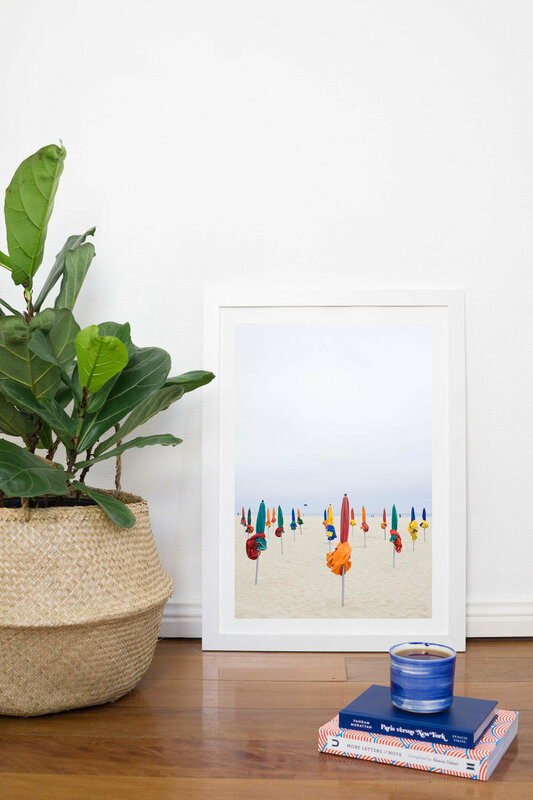 Do you have a favourite place in Paris during Spring? Let me know in the comments below!